It's difficult to believe that just last Saturday we were strolling around Zürich and sipping wine. Lots of wine, in fact. 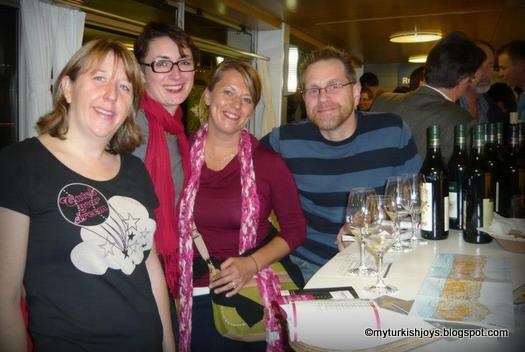 Our Düsseldorf friend, JT (from my Celebrating Karnevale in Germany post), had organized a group wine tasting weekend in Zürich to take advantage of expovina 2012. The expo features more than 4,000 wine producers and vineyards from around the world and takes place on large yachts floating on Lake Zürich. The event runs through Nov. 15. Basically for 20 Swiss CHF ($21 USD), you can go boat hopping and taste all the wine you want all day. I must tell you this is the ultimate wine tasting experience! The wine tasting expo took place on these yachts in Lake Zürich. Gorgeous backdrop of the snowcapped Alps behind the wine boats! From what I can remember, we tasted wines from Switzerland, Spain, Portugal, Israel, South Africa, California, U.S., Australia, Germany and Italy. I might have forgotten a country or two because it was a long, tough day of wine tasting. Unfortunately, the vendors aren't allowed to sell their wine from the boats so we resorted to taking photos of the wine labels that we liked. Hopefully, we'll see one of these wine bottles somewhere someday and remember our fun weekend in Zürich. 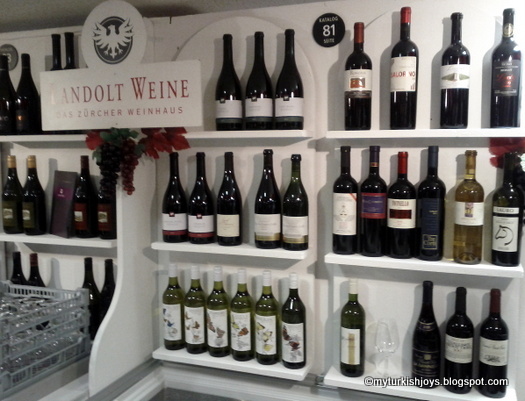 Landolt Weine is a local Swiss company. I liked their white wines. 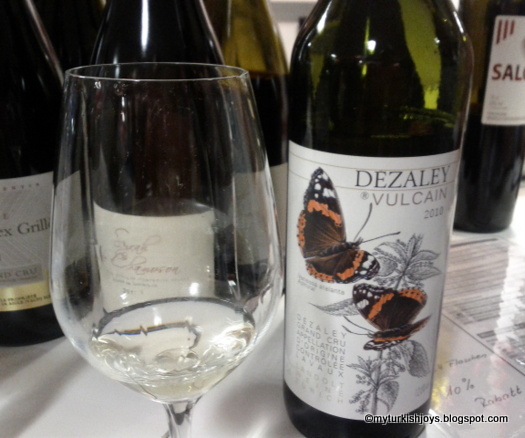 I also liked the pretty butterfly wine labels! A very risque wine label from Austria. Since I was so busy wine tasting, I didn't take as many photos as I would have liked. And I was having fun with our new German friends and other people we met along the way. Although there are some food vendors on board the boats, we somehow ended our late night eating Turkish tavuk döner kebab near our guesthouse. Hubby and I couldn't help but laugh, and we ordered our kebab in Turkish, of course! for this photo. Here I am with our German friends doing our "professional" wine tasting. Next November, get a group of friends together and head to Zürich to see what the wine boats are all about for yourself! Stay tuned: more posts about Zürich coming next week. i love zurich! that wine tasting would be fabulous to do! hope you are feeling better! Well, that sounds fun, Joy!!! Lots of fun! @Claudia, yes, lots of fun! I agree completely with the general pairings of red. 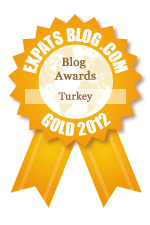 A very good guide, and so much fun!